Pest control companies throughout the world utilize an approach called “Integrated Pest Management” (IPM). This strategy employs the use of different techniques to control pests in a way that is safest for the environment and your home. It used to be the case that pest control companies would lay down a lot of chemicals in hopes of solving any and all pest problems, but this is not the most effective nor the safest way to handle a pest problem. 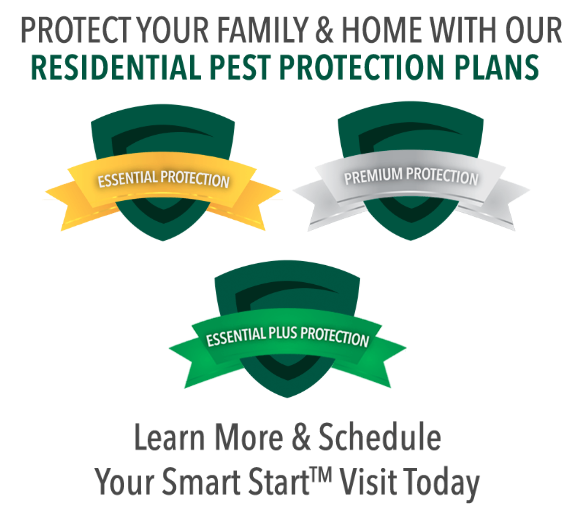 Gregory strives to abide by IPM protocols to give you the best and smartest pest control plans. A decision-making process that anticipates and prevents pest activity and infestation by combining a number of different strategies to achieve long-term solutions to pest problems. They go on to list the four basic functions of any IPM program which are pest identification, pest monitoring, determination of economic injury level and pest control strategies. Pest ID is an incredibly important part of IPM. It allows us to select the best prevention and control methods for that particular type of pest. Even though some pests might look the same, the treatment methods are entirely different. 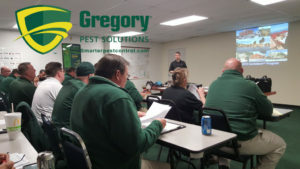 At Gregory’s headquarters, we have a lab dedicated to identifying and studying pests, so you can be sure that we know what pest to treat for. Pest monitoring is the next piece of an IPM program. Monitoring pest activity in your home or business is crucial to controlling these pests before they reach economic injury level. Gregory keeps track of pest activity through service reports for our residential customers and also through log books we keep onsite at our commercial locations. The economic injury level of a pest is the level at which a pest (or pests) will become a problem. By partnering with a professional pest control company year round, you are most likely participating in preventative pest control in order to keep pests from reaching their economic injury level. Pest identification goes hand in hand with pest control strategies. In order to best control pests, you must first know what type of pest they are. Two very similar looking pests can have two very different methods of control. It is often the case that pest control can be done without pest control materials. Knowing what type of pest you’re dealing with will then let the technician know what things the pests need to survive. Using this knowledge, they might be able to remove the food source and therefore not have to use pest control materials. Part of GPM is ongoing education for our employees. How Does Gregory Use IPM? Gregory has their own IPM program that is tailored to meet the individual needs of your home and facility and has five distinctive elements. By inspecting your property, we can identify pests and problem areas. Problem areas can include food sources, leaky faucets, and other items in or around your facility that make it attractive and suitable for pests. Using this information, your pest management professional will create a customized service and documentation plan to drastically reduce your chances of pest invasion. Using the information gathered through inspection, we remove the issues found. This creates an environment unsuitable and unattractive to pests. By removing harborage, food sources, water sources and other habitats for pests, it will reduce the presence of pests which will then reduce the need to introduce pest control materials. Other elements gathered through the inspection might include structural issues in the facility or home. This can include cracks, crevices and sanitation issues that we must partner with the customer to correct. After these areas are properly sealed and corrected, we will keep documentation to ensure they remain sealed and pest free. Consistent monitoring is the next piece of the GPM puzzle. This allows us to identify pests before they reach their economic injury level. We document any pest activity we might see in a home or business and use prevention methods to ensure they don’t get out of control. This preventative pest control method is the best way to keep pests in hand and ensure they don’t become an issue. A huge goal of IPM is to use pest control materials only when necessary. If there is another way to get rid of the pest, like removing a food source, then we will first use that method before resorting to alternative means. Through this effort, the required use of pest control materials is drastically reduced which makes your home and business safer and also keeps the environment happy.